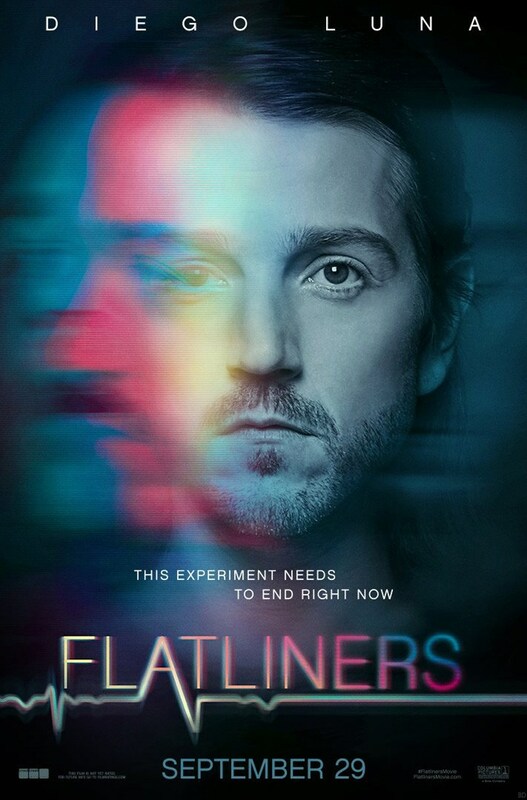 Sony Pictures has debuted five new "FLATLINERS" character posters ! 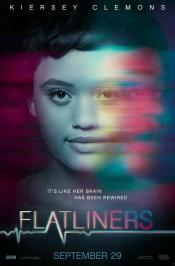 Opening in North America on September 29, the new "FLATLINERS" movie stars Academy Award nominee Ellen Page ("INCEPTION", "INTO THE FOREST", "X-MEN: DAYS OF FUTURE PAST"), Diego Luna ("ROGUE ONE: A STAR WARS STORY", "ELYSIUM"), Keifer Sutherland ("MELANCHOLIA", "MIRRORS", "FLATLINERS" the original one), Nina Dobrev ("THE VAMPIRE DIARIES", "THE ROOMMATE"), James Norton ("BLACK MIRROR") and Kiersey Clemens ("JUSTICE LEAGUE"). 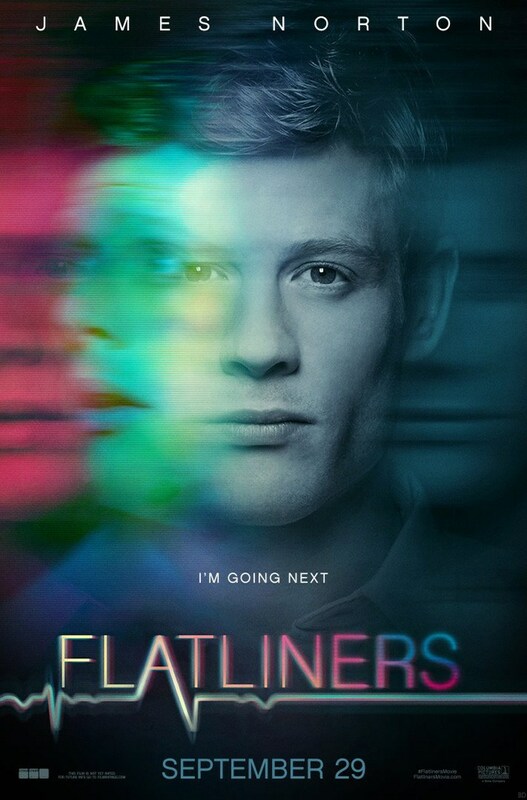 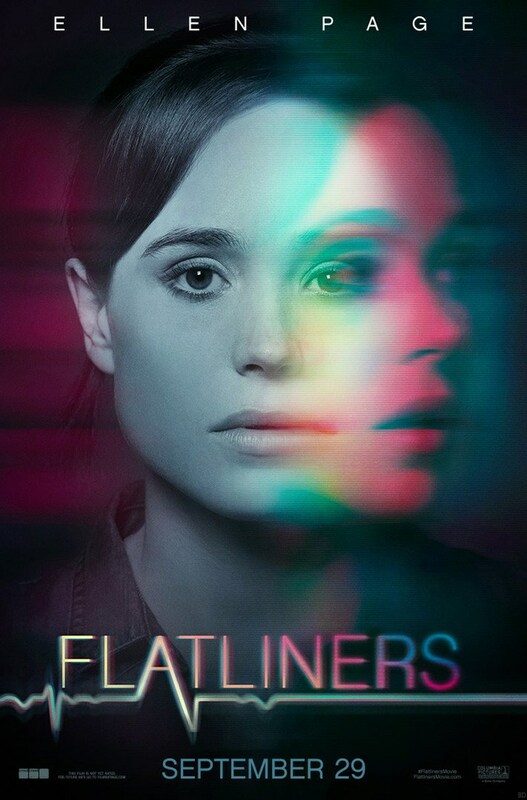 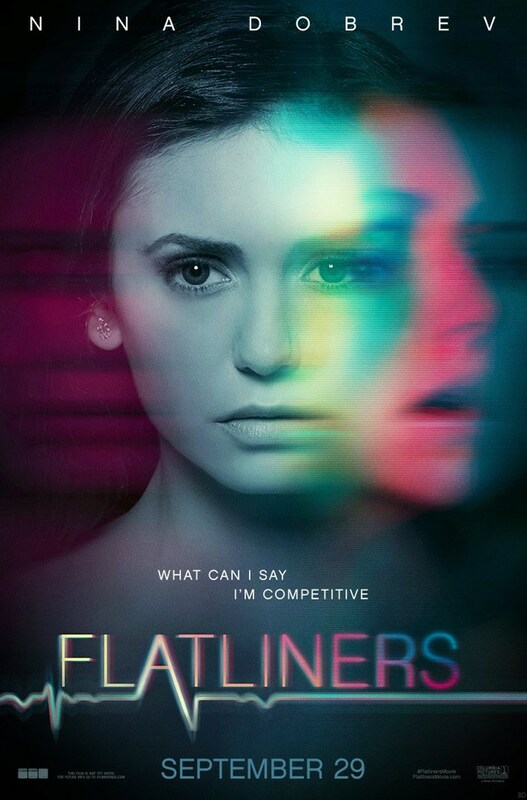 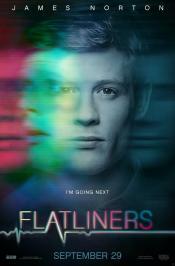 "FLATLINERS" is being helmed by Niels Arden Oplev, (original Swedish version of "THE GIRL WITH THE DRAGON TATTOO"). The film boasts a screenplay from "SOURCE CODE" writer Ben Ripley. 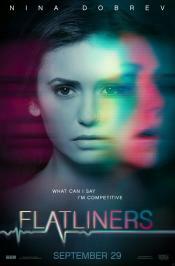 The original "FLATLINERS", released in 1990, was directed by Joel Schumacher. 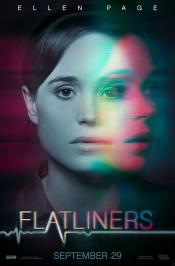 Starring Keifer Sutherland, Julia Roberts, William Baldwin, Oliver Platt, and Kevin Bacon, it grossed $61 million in its original theatrical run. Synopsis : Five medical students, obsessed by what lies beyond the confines of life, embark on a daring experiment: by stopping their hearts for short periods, each triggers a near-death experience - giving them a firsthand account of the afterlife.